An important research finding in the life sciences has galvanized and divided the international scientific and security communities. The creation of a version of H5N1 influenza virus (bird flu) that can be transmitted by respiratory droplets or aerosol between mammals raises hopes that a vaccine can be made – and fears that humans will speed up the process by which this new virus will be unleashed. Research has been suspended while scientists debate the proper course to take. But any solution must be part of a larger regional effort to address biosafety and biosecurity concerns. The H5N1 virus first appeared in Asia nearly a decade and a half ago, and has since spread around the world. In that time, the disease has been reported in 576 human cases and there have been 339 deaths. The human fatality rate for H5N1 ranges from 30 percent to 80 percent; experts consider this “one of the most virulent known human infectious diseases.” At present, the disease is only spread by contact with live birds. Scientists fear that the virus could mutate and become susceptible to human-to-human transmission, which could trigger a pandemic on the scale of the 1918-19 outbreak of Spanish flu (H1N1) that killed as many as 40 million people. Late last year, two research teams created an H5N1 virus in the laboratory that could spread in such a manner. This isn’t the first such “breakthrough.” In 2001 scientists created recombinant mousepox (knowledge that could be applied to smallpox); a year later, the polio virus was chemically synthesized (which means the virus was created from scratch without a natural template by using a DNA sequence available online); and in 2005, scientists reconstructed the 1918 Spanish flu virus. The possibility of the misuse of such research for bioterrorism and crimes, as well as accidental exposure of those agents to humans, animals and plants, was highlighted by the U.S. National Research Council, including the Fink Committee report in 2004 and the Lemon-Relman Committee report in 2006. This time, however, the U.S. National Advisory Board for Biosecurity (NSABB) recommended that the papers (introducing the research findings to the public) not be fully published; instead, the basic results should be provided without methods or detailed results. The government passed those recommendations on to the scientists and the journals to which they had submitted their research. 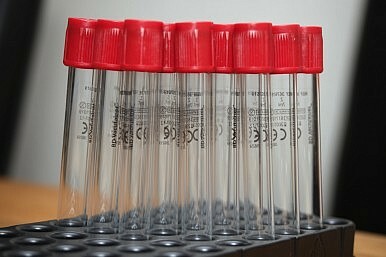 Those scientists, and some colleagues, responded with a letter published last month in the two journals, arguing that the research is crucial to public health efforts, but agreed that the controversy justified a 60-day suspension of research so that the entire scientific community could debate the issue. An international conference on the topic is scheduled to be held this week at the World Health Organization (WHO). This case has powerful implications for the Asia-Pacific region, which is home to rapidly developing life science industries that are working to solve problems in public health, medicine, energy development, agriculture, and national security. In 2010, a global market research firm, Frost & Sullivan, reported that Asia-Pacific healthcare revenue represented 23.2 percent of the global market ($247 billion) in 2009, and could reach a 40 percent share by 2015. Ensuring freedom in scientific research and attracting cutting-edge scientists are essential components of the region’s efforts to develop life science research. Our concerns are broader than the oversight or censorship of scientific research. Enhancing safety and security within and beyond laboratories is critical to preventing the accidental release of pathogens/toxins or their intentional use for illicit purposes. The world doesn’t care if a pandemic is natural or manmade. In addition to the human cost, the economic consequences could be huge: the World Bank estimated that an influenza outbreak in East Asia on the scale of the 2002-3 SARS outbreak could cost $800 billion a year. There are two priorities for regional security efforts. The first is immediate capacity-building and coordination in the overarching sectors of public health, disaster relief, and biodefense to enhance preparedness and response in the case of a disease outbreak (whether it’s manmade or natural). It’s important to note the unique nature of biodefense, where “medicine” plays the most significant role, and opens the door to unique forms of collaboration among public health and disaster relief efforts. The second priority is long-term education and awareness raising policies to promote responsible conduct in life science research. This will provide the basis for wider engagement of life scientists in the effort to strengthen biosafety and biosecurity architecture beyond laboratories (including oversight, intelligence, national legislation of relevant international agreements, and export controls). A key element of this agenda is sharing best practices among regional states in the development of biodefense capacity and collaboration with public health sectors. This work could be initiated at the bilateral level via existing regional security partnerships. For example, the U.S.-Japan Security Consultative Committee of defense and foreign ministers (the “2+2 process”) has a “Defense Working Group against CBRN Weapons” (CDWG) that could provide a model for other countries or even be expanded to larger groups. Elevating bilateral/trilateral efforts to the regional level will be challenging. An “easy” opportunity exists, however. When the ASEAN Defense Ministers’ Meeting (ADMM-Plus) was inaugurated in October 2010, the group targeted nontraditional security issues as the most viable area for functional cooperation. Among its priorities was capacity building relating to natural disaster management: a Working Group on Military Medicine was set up and the group is to be co-chaired by Singapore and Japan until 2013 in cooperation with ASEAN Regional Forum. For the second agenda item, there are growing efforts to raise awareness of biosecurity and biosafety issues among life scientists. The United States has the NSABB. The Science Council of Japan established a committee last year on dual-use issues in the life sciences to raise awareness of these issues. Biosafety and biosecurity associations in the Philippines, Indonesia and Singapore are key players in the Asia-Pacific Biosafety Association (A-PBA). The A-PBA is a member association of the International Federation of Biosafety Associations that works closely with the U.S. Cooperative Threat Reduction. There are many opportunities for national security and public health agencies of regional governments to play individual roles and build international partnerships on these issues. For regional security stakeholders, the debate over and action plans to deal with H5N1 research should go beyond oversight of scientific research and be considered part of the embryonic efforts to enhance regional biosecurity. Masamichi Minehata is a research fellow at the University of Bradford in the U.K. and nonresident SPF Fellow at the Pacific Forum CSIS. Since 2008 he has worked for the UK Prime Minister’s Initiative to promote international biosecurity education, in cooperation with the National Defense Medical College of Japan. Brad Glosserman is executive director of Pacific Forum CSIS, where this article originally appeared.